Have an issue, let us help out? Free for all products sold by us. We only use the best payments! Like Paypal, IDeal, Creditcard and more. 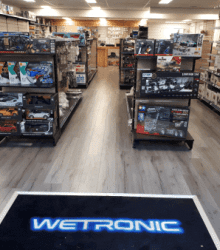 Wetronic is the RC Truck Specialist in the Netherlands and Belgium. With more then 6000 products just for the rc trucks we have almost any part on stock for the modeltrucks. 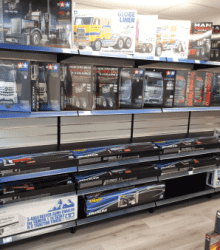 But our store is not only for rc truckers, we also represent an lot of other brands like Traxxas, ARRMA, HPI and much more. We have our own wall with traxxas models and have almost all the models in stock. 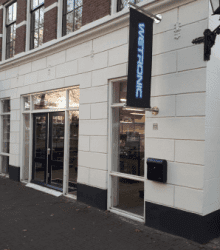 Also we are not just an webshop, we have the biggest RC Truck shop of the Netherlands with over 200m² of space. 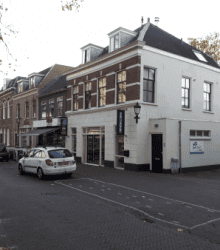 You can find our store in the center of the Netherlands and free parking spots are available in front of our store. Our store is open on Tuesday till friday from 12:00 - 18:00, Friday evening from 18:00 - 21:00. Saturday from 10:00 - 17:00 and Sunday from 12:00 - 17:00.
so you can combine your visit with an nice trip afterwards. This model is prepainted in matte black.The Grand Hauler resembles a classic customized american tra..
Tamiya is proud to add this wonderful piece of machinery the R620 6x4 to the 1/14 scale R/C Tractor ..
Unrelenting 4X4 power, mammoth size, and award-winning innovation make X-Maxx the ultimate monster t..
TAKE THE PATH LESS TRAVELEDThe Traxxas TRX-4 Scale and Trail Crawler is an all-new Traxxas..
With set-screw for fine adjustment of the longitudinal stop by 1/10mm. Height adjustable tungsten-ti..